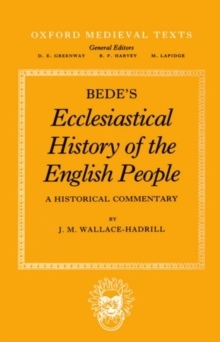 Bede's Ecclesiastical History of the English People is recognized as a masterpiece among the historical literature of medieval England and Europe. 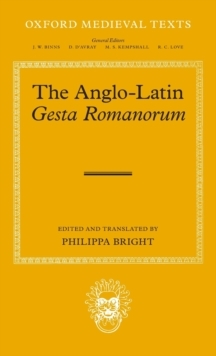 Completed in 731, it comprises in a single flowing narrative a coherent history of the conversion of the English peoples to Christianity, and the story of the island kingdoms and churches from the 590s to the early eighth century, prefaced by a sketch of the earlier history of Britain. 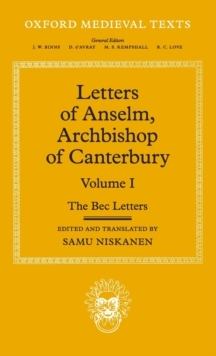 In 1969 the Clarendon Press published the new edition in Oxford Medieval Texts, edited by Bertram Colgrave and Sir Roger Mynors. 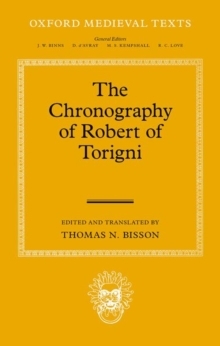 Mynors's masterly text and textual introduction replaced much of Charles Plummer's great edition of 1896; but the historical notes did not attempt to match in scale and detail Plummer's second volume of commentary. 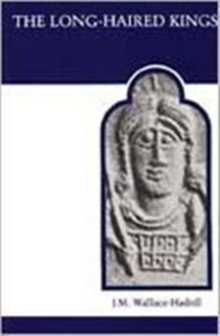 To fill this gap the late Professor J. M. Wallace-Hadrill devoted the last years of his life to a new commentary, one of the finest and most mature fruitsof his scholarship - more succinct than Plummer, tauter, more relevant, above all drawing together and adding to the findings of a galaxy of modern scholars. 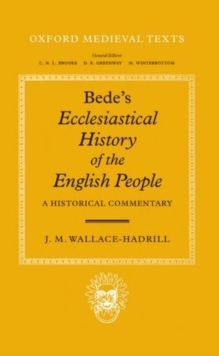 Prepared for the press by Thomas Charles-Edwards, helped by Patrick Wormald and others, this book completes the new Bede, and is prefaced by a paper characteristic of Professor Wallace-Hadrill on `Bede and Plummer'. 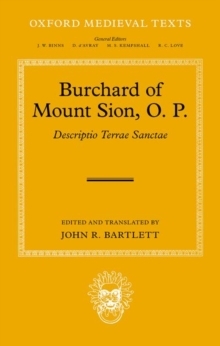 Burchard of Mount Sion, O. P.